As seen in The Urban List and Concrete Playground! Do you need a bit of "me time"? Have you always wanted to paint a but didn't know where to start? Don't worry there is no experience needed. 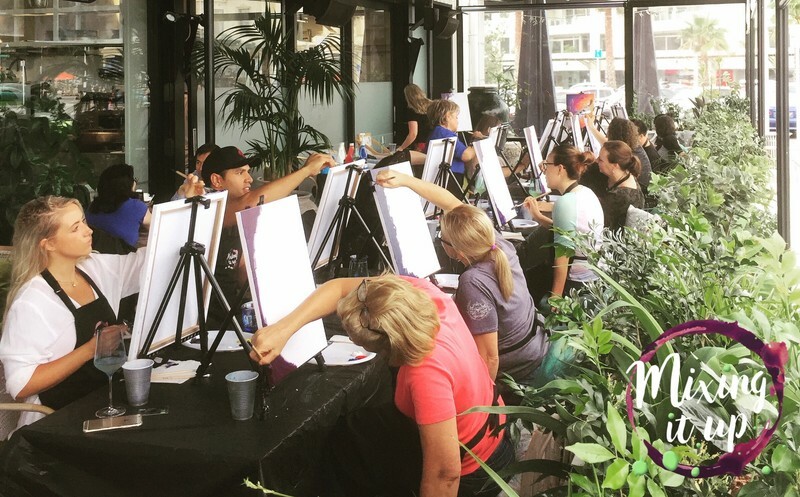 We will guide you stroke by stroke during our 2-hour guided Wine and Paint event. We provide all the tools of the trade. All you need to do is grab a drink, grab a brush and have a laugh! Come on out to The Brickworks in LynnMall that only opened in November of last year. Our event is being held at Bodrum Kitchen which hosts a fusion of Greek and Turkish flavours. The atmosphere adds to the creative and fun vibe of our art experiences. Stay hydrated between brush strokes and take advantage of this venues awesome drinks menu! Head to our website for tickets! *food and drink sold separately.